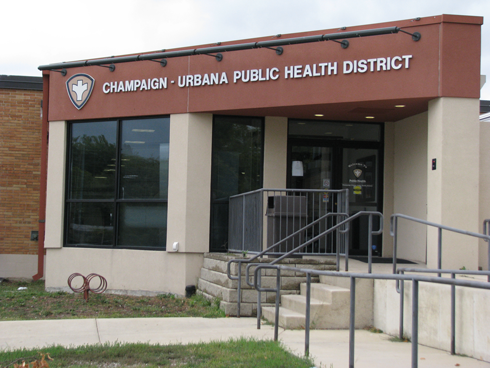 Offices of the Champaign-Urbana Public Health District in Champaign. A second case of measles has been reported in Champaign-Urbana. Like the first case announced in January, this second case involves a member of the University of Illinois campus community. 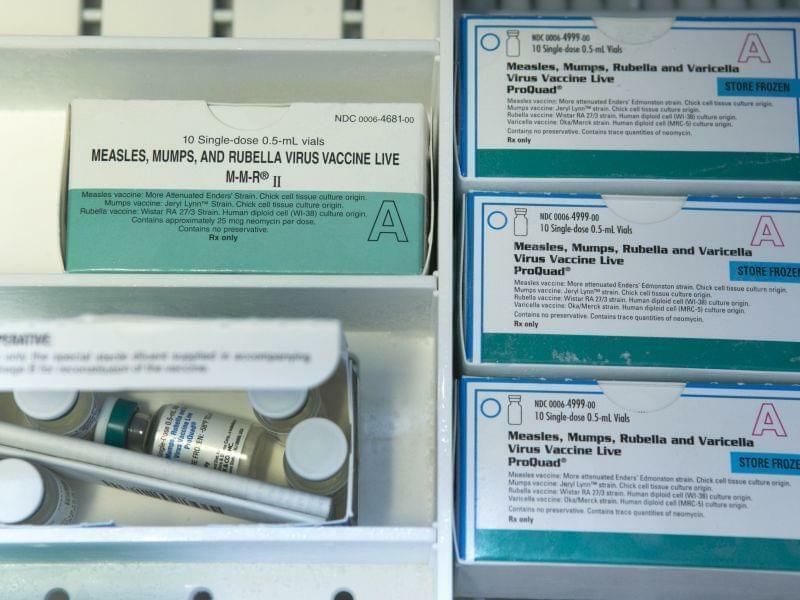 Measles is more likely to result in potentially life-threatening complications among children under 5 and adults over 20, according to the federal Centers for Disease Control. Complications can include pneumonia and encephalitis (swelling of the brain). Campus Vice-Chancellor for Academic Affairs and Provost Andreas Cangellaris says the university is working with its own McKinley Health Center and the Public Health District to try to identify and warn anyone susceptible to measles about the local presence of the highly infectious disease. That includes anyone who has never had measles and who has never been vaccinated for it. Pryde says the two people diagnosed with measles had not been vaccinated or had measles before. She says it’s fortunate for the general population that the measles vaccination rate in the Champaign-Urbana area is high. Immunization against measles is included in the MMR (Measles, Mumps, Rubella) vaccine. The vaccine is delivered in two doses, with the first dose typically given to children at the age of one. But Pryde says the level of protection from the measles virus is up to 93 percent with the first dose alone, and 97 percent with two doses. Pryde says anyone who has not been vaccinated for measles should contact their healthcare provider or the Public Health District at 217-531-4255. She says anyone who feels they may have the measles stay home and call their healthcare provider first before going into see them, so that precautions can be taken against exposing others to the virus. Symptoms of measles include rash, high fever, cough, runny nose and red, watery eyes. The disease is easily spread through the air via coughing or sneezing. Contact with mucus or saliva from an infected person can also spread measles. Pryde says people with measles can spread the virus for four days before showing symptoms, and be contagious for another four days once symptoms appear. Once a common childhood disease, measles was all but eradicated in the United States with the development of the measles vaccine. But small outbreaks of measles have returned in recent years, attributed to a drop in vaccination rates. More than 40 people have been diagnosed with measles in an ongoing outbreak in parts of Oregon and Washington state. In Illinois, the last measles outbreak of any size was 17 cases in 2015. In 2018, there were just four cases as of December 5th, no cases reported in 2017, and two cases in 2016. Pryde says that before this year, the last measles case reported in Champaign-Urbana and Champaign County was in 2006.